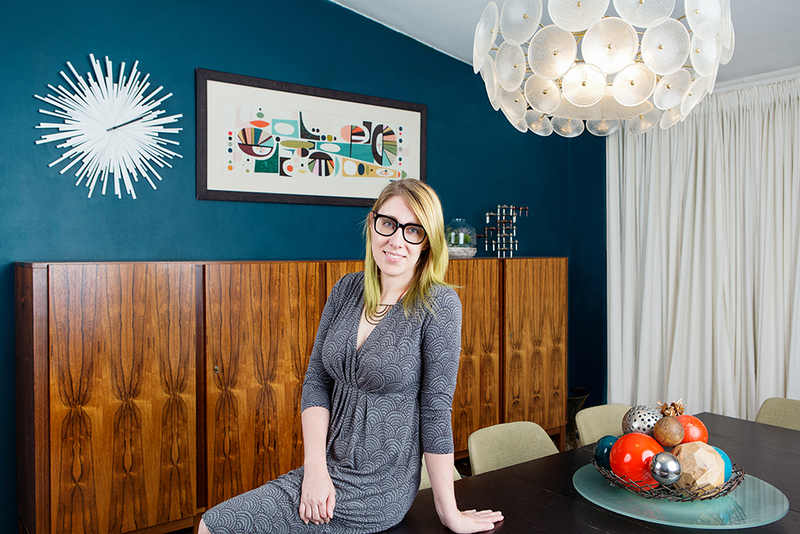 Jenn’s love for midcentury style runs so deep that she no longer thinks about how to reimagine the elements she loves from her mid-mod inspirations—they are simply an outpouring of her creativity. 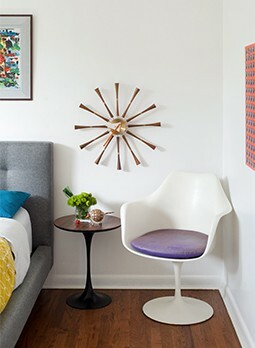 “I can’t really point to specific design elements and tell you where they came from, but the inspiration of midcentury artists is very clearly and very definitely there,” she says. When corporate work wasn’t doing it for her, Jenn Ski quit her job and applied her education in graphic design and typography to her real passion: art. Photo courtesy of Jenn Ski. 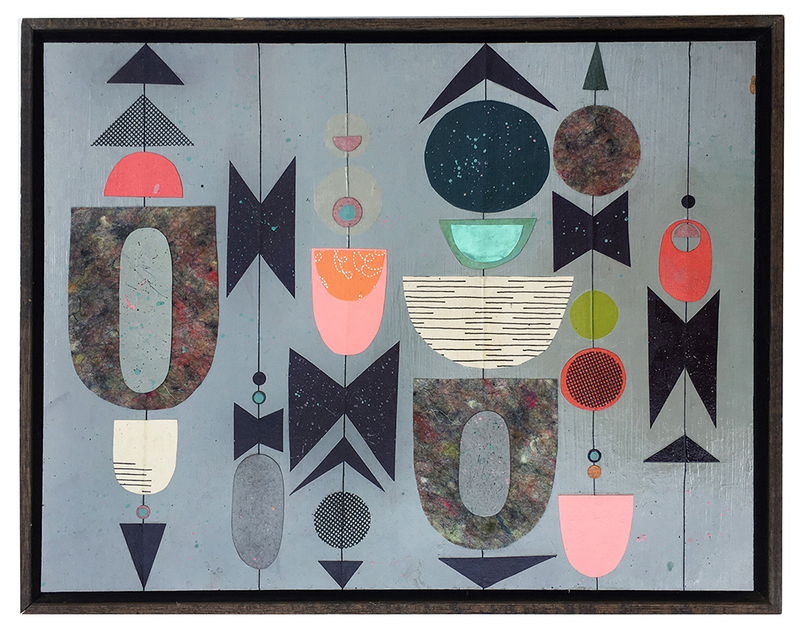 Jenn’s offerings are as varied as the shapes and colors in her artwork. 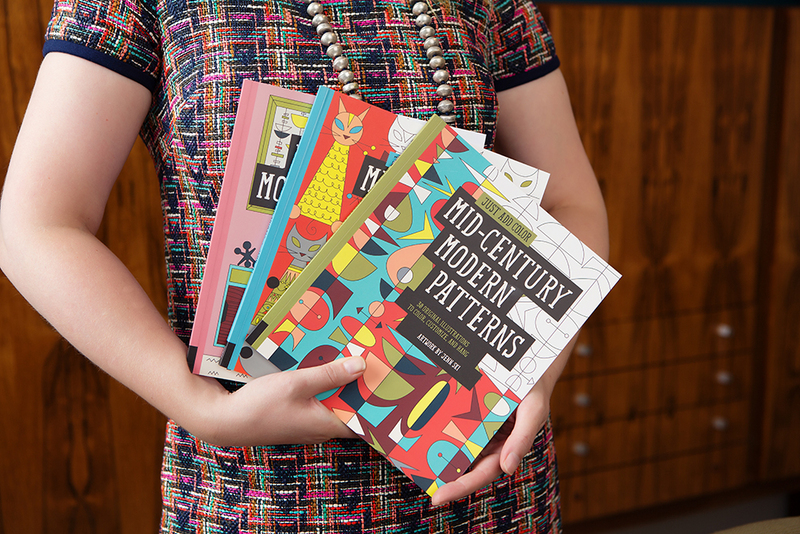 Her unique designs don everything from paintings, prints, coloring books, pillows and placemats to notecards, shirts and bags—not to mention her line of abstract quilting fabric coming in spring of 2017. While most of Jenn’s products sell through her Etsy shop, she also licenses her art for use on other products and takes on commission work. A highlight of her commissioned work is her inclusion at Universal Studios’ Cabana Bay Beach Resort in Orlando, Florida. Original artwork, prints, cards, wallpaper and accessories with Jenn’s prints are available at her shop, jennski.com. Photo courtesy of Jenn Ski. “I think there’s an innate need in some people to create … artists have to make art!” —Jenn Ski. Photo courtesy of Jenn Ski.